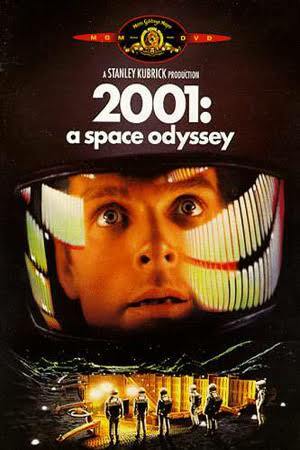 Last week, 2001: A Space Odyssey was released in cinemas to celebrate its 50th anniversary. Some regard it as the best science fiction film of all time. Unfortunately, I didn’t get to see it on the big screen, thanks to the stupid cinemas in my area stupidly not showing it. Hopefully I’ll be alive when the film is rereleased for its 75th anniversary! My fiancee asked: “why don’t you just watch it on DVD?” Sigh, she’ll never understand…but back to my original point. What are the best science fiction films of all time? I love science fiction (an ex-girlfriend once referred to me as a sci-fi geek!). There are so many that I literally couldn’t limit my list to 10 choices…but I’ve tried my best. As usual, I’m only going to limit myself to one film per franchise/director. It makes the choices (a little) easier! Number 10, I hear you say? Yes, number 10. But I’ve only watched 2001 twice (unlike most of the films in this list). It’s a stunning achievement in all areas. Whilst it’s ponderous on first glance, it hides a stark depth that many science fiction films are missing. It’s not for those who like their science fiction full of boom and bombast, but that’s not the point, is it? It’s a reflection of ourselves, of our purpose. And all the better for that. The sequel instead of the original? That is blasphemy, and I feel like I’ve blasphemed myself by mentioning it. But I felt a great emotional attachment to Villeneuve’s spectacular sequel, one I never felt with the original. That’s not to say anything negative about the original; I adore it. But Villeneuve and co. craft a sequel that adheres to the values of the original yet expands them far beyond the original’s imagination. I could have chosen the original and had Arrival in place of this, but I think Blade Runner 2049 is Villeneuve’s most impressive achievement to date. Klaatu barada nikto. Of course, I’d say that all of the films on my list are must-see science fiction films. But The Day The Earth Stood Still has a timeless message to tell us, in the guise of an apparently friendly alien invasion. It’s Cold War parallels are ever more applicable to today’s hectic world, as Trump brings us closer to nuclear Armageddon. Don’t let the black and white put you off: it’s an example of science fiction films breaking out of their B-movie shackles and aiming for something more. If there’s ever a science fiction film that looks like our possible future, it’s Alfonso Cuaron’s Children of Men. The infertility epidemic is plausible, but what’s even more plausible is the xenophobic, pseudo-totalitarian society that Clive Owens’ Theo Faron lives in. More than most films, the juicy details are hovering in the background, haunting the corner of your eyes. Oh, and the brutal action sequences are among the most realistic and traumatising you’ll ever see. Cuaron’s masterpiece? Perhaps. Wall-E is my favourite Pixar film. End of story. And it’s coincidentally a science fiction film as well! It’s a master class in visual storytelling (especially the first act). Like the great science fiction films of the 1970s, has a vital eco-socio-political message to tell us. And it’s impossible not to love Wall-E, a Johnny Five for the new millennium. Ahhh, The Empire Strikes Back…The Godfather II of the science fiction world. It improves upon its predecessor on almost every level, from characterisation to maturity to humour. I still think it’s the peak of the Star Wars saga, and doubt it will ever be surpassed. It’s the standard bearer for all middle entries to a sequel. Apart from The Fly. The Fly gives us one of the great romances in science fiction film, between Jeff Goldblum and Geena Davis. It also gives us Goldblum’s greatest performance as Seth Brundle. Like Robocop, some may remember it for its stomach churning gore. But it’s so much more than that. Body horror, romance, science fiction…there’s never been a better blend of those three genres. I flit between a preference for The Terminator or Terminator 2, and today it’s James Cameron’s sequel. After seeing T2 in 3D at the cinema last year, I gained a whole new appreciation for it. I know almost every line of dialogue, every sound effect in Terminator 2. I could watch it from now until the end of my time and still not be bored of them. Sometimes, you need science fiction to explore deep issues. But other times you just need science fiction to give you a rollercoaster ride like nothing else. 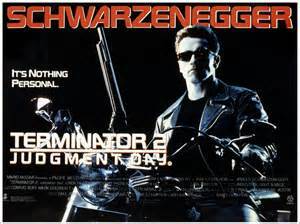 And Terminator 2 delivers the best science fiction/action film in history. Next Article WM35: ‘Taker. Cena. Rematch Due. Great list, but I’d have put The Thing in place of E.T. And T2wpuld have been replaced with the first movie in the franchise. Almost any of the honorable mention movies would’ve made it onto my list, especially Dark City or The Fly, and 2001 would most definitely have been on it . Do they have to be American films, cuz I would’ve added Akita or Ghost in the Shell if so. Still, this is a great list! Cheers! I’m always swapping between T1 and T2…I just can’t decide! They can be any language film! That’s a great list. I am pleased to see here The Fly. You don’t usually see this film on many lists. I would also have added Akira or maybe even the original Blade Runner on the list. I see it is on your honourable mentions. Akira! Need to rewatch that. Also, Blade Runner 2049 is fresher in my mind than the original!